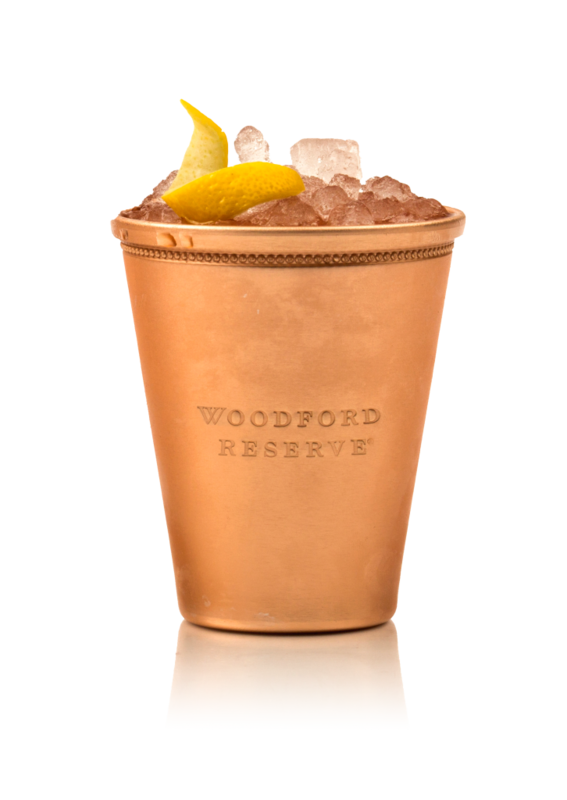 The 2019 Woodford Reserve $1000 Julep. 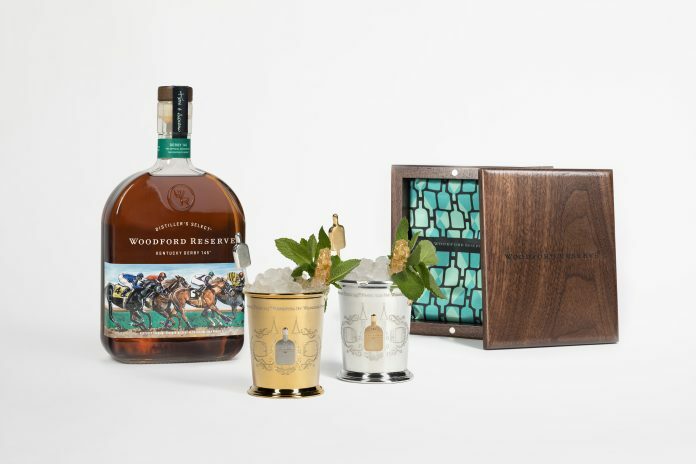 Woodford Reserve has unveiled their annual $1,000 Mint Julep, crafted with ingredients that have deep ties to Churchill Downs. The mint julep, although it’s been a Kentucky Derby tradition since the 1820s, did not become the official cocktail of the race until 1939. The signature combination of bourbon, simple syrup, and mint is taken to a decadent, top shelf level each year with Woodford Reserve’s $1000 Mint Julep. This year, their julep is emphasizing those ties to the track. The mint used to make this pricy pour was grown on the grounds at Louisville’s Churchill Downs. Additionally, the honey sweetener Woodford is substituting for basic simple syrup was aged for 145 days (as a nod to the 145th running of the Kentucky Derby) inside the Twin Spires at the track. Woodford Reserve Master Distiller and Assistant Master Distiller Chris Morris and Elizabeth McCall are two of the only people outside staff at the track to ever ascend the spires. All proceeds from the distillery’s $1,000 Mint Julep program are donated to the John Asher Memorial Scholarship Fund at Asher’s alma mater, Western Kentucky University. Asher served as the VP of Communications for the track for years. If you’d like to order your cup to support his commemorative cause, please click here. 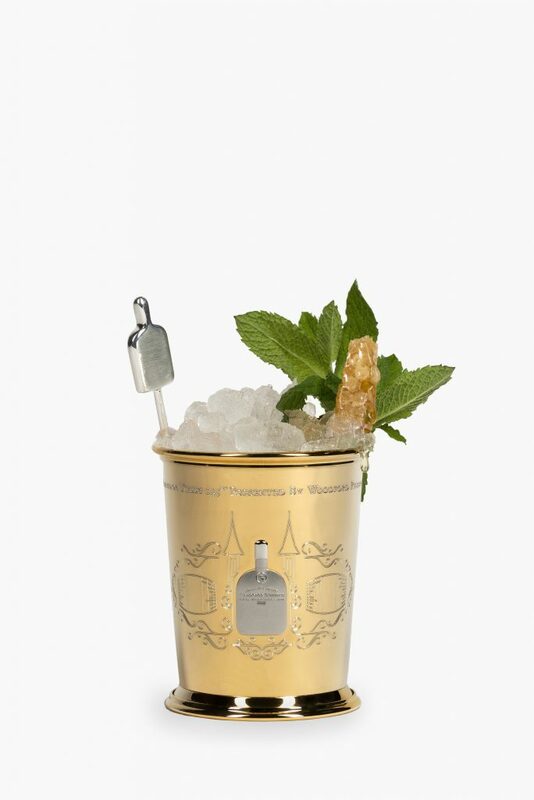 The 2019 $1,000 Mint Julep from Woodford Reserve. Directions: Rub mint around the julep cup, expressing the essential oils and place the mint leaf in the bottom of the cup. Drizzle two bar spoons of honey sweetener in the cup, followed by two ounces of Woodford Reserve Straight Bourbon, mixing the ingredients together. Pack ice into the cup, followed by placing the sipping straw. Layer loose ice on top, with a splash of Woodford Reserve Straight Bourbon to settle your drink. Garnish with shaved honeycomb and a sprig of mint. 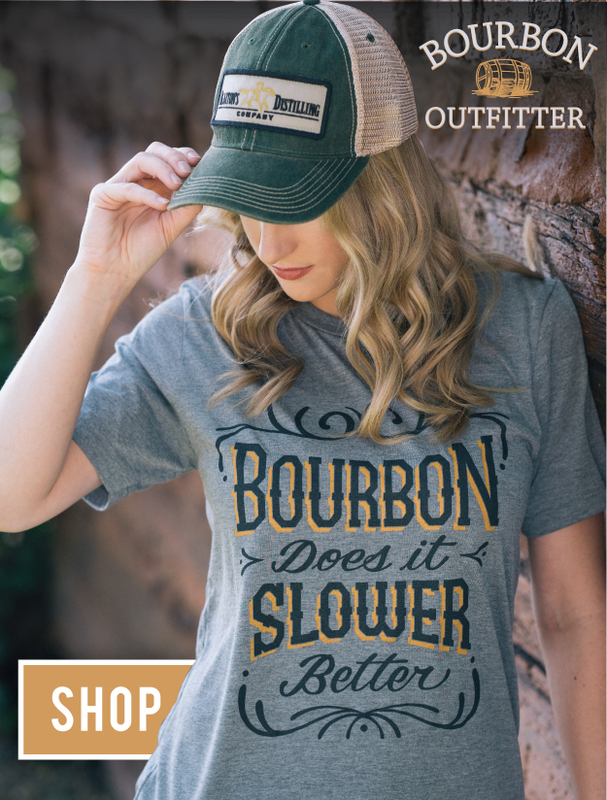 Not a julep fan? Woodford has you covered. The track will also be serving up the Woodford Reserve Spire, perfect for those wanting something fresher or fruitier. Directions: In a glass mix Woodford Reserve, lemonade and Cranberry juice with a bar spoon. Add liquid mixture into a copper cup, add crushed ice to the top of the glass & serve with a lemon twist.